Managing stress is critical for almost any career. It is, however, an often elusive goal since the causes of stress for one person may be quite different than those for another. The amount of stress experienced in the typical retail pharmacy varies based upon a number of other factors such as prescription volume, patient population, coworker competency, software efficiency, physical layout, management practices, distractions and many other things. On the whole, pharmacists in retail settings probably experience less workplace stress than active military personnel, but more than the average librarian or hairdresser. In other words, we’re probably somewhere in the middle based upon workplace stress studies that have been done. Failure to deal effectively with stress in the pharmacy can have significant negative consequences on patient safety, personal health and your career objectives. Stress may contribute to prescription errors, since anxiety tends to make anyone lose focus and skip steps. Stress has a multitude of negative health effects such as headache, high blood pressure, obesity and diabetes. And stress can ruin careers. Sometimes pharmacists simply quit the profession altogether due to the forces of stress experienced on the job. So what should you do? Someone once said “it is not the stress that kills us, but our reaction to it.” How will you react? I offer the following 10 suggestions for managing stressful situations in the retail pharmacy workplace. These come from 20 years of real experience. None of them alone are perfect cures, and even all of them together won’t help some pharmacists since stress is often tied to their personality and experience. But I’ve found them to be the keys to managing stress in my pharmacies, and offer them as suggestions to you. Every pharmacy has a workflow; a system by which prescription orders move from start to finish. I have walked into pharmacies during busy, stressful times and observed an utter collapse of the workflow. Nobody knows where they should be and prescriptions are completely in disarray. Don’t let this happen. Insist on a consistent utilization of whatever workflow you use. One of the greatest stress producers in the pharmacy is the “patient bomb.” That one irate and upset patient that cripples all efforts to move forward. Deal with them. You must give them some options, explain the situation and ideally get them to walk away until further resolution can be accomplished. Some patients and/or prescriptions become roadblocks and bottleneck your efforts to move things along. You need to spot them, and also help your staff to recognize them before things get too backed up. A roadblock might be a prescription that has insurance issues, physician issues or clarification issues. These need to be managed in a way that allows other prescriptions to keep flowing. It might mean asking the patient to come back, or giving them some options, rather than having them just stand there waiting for a resolution that might take a while. When things get stressful, there will always be a temptation to take shortcuts. Don’t do it. Whatever system you have developed that enables you to check your work, and your technician’s work, carefully and completely should stay intact. I use a simple 4-point check against the hard copy of every new prescription. Your software may have other mechanisms. Follow your steps. Take a deep breath if necessary. But don’t circumvent the process to get work done faster. I’m convinced that the sloppier and messier a workplace becomes, the more stressful it is. This may not be universally true for everyone, but I think it holds true on the whole. And it is a catch-22. It gets busy and stressful, so we don’t stay organized. Then things are disorganized, which causes more stress. Break the cycle. Put things away that are not involved in the work you are doing right then and there. This may seem silly. Just act calm? But remember…anxiety is contagious. If you appear to be getting stressed, guess what? Your staff will feel more pressure too. Force yourself to speak in a normal tone and rhythm. Force yourself to smile. Put yourself into a mental place that help to reinforce an attitude of control, strength and confidence. Don’t clam up. I’ve watched some pharmacists and technicians withdraw into a hole in stressful situations. They don’t look up, they don’t talk, they almost disappear. Leading the pharmacy through a stressful period requires active, clear, calm communication. Speak up. Don’t shout or yell. Identify issues (like those in steps 1, 2 or 3 above) and deal with them. I’ve found that many patients are much more agreeable to receiving a call from you later than you might at first believe. Sometimes the only way to move forward is to respectfully and clearly tell a patient you are going to call them when it slows down so that you can help address their issue. Of course, the key here is that you actually have to do it, and do it consistently. So keep a record of such commitments and follow through. Depending on the workflow system in your pharmacy, the prioritizing may be handled for you. But we all know there is much more to prioritizing than simply knowing which prescriptions need to be done first. 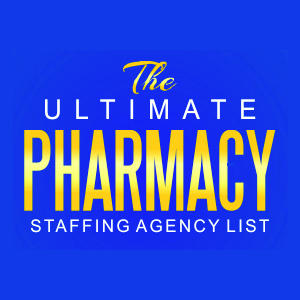 At any given moment there may be 50 other things going on in the pharmacy (emails to reply to, phone calls about non-urgent matters, orders to be put away, things to be filed, paper to be shredded, etc.). I have seen individuals who appear to manage their stress by reverting to tasks that are absolutely not priorities at the moment. Ask yourself: Does this NEED to be done RIGHT NOW? I have always recommended that pharmacists keep a handy little notebook, a journal of sorts, nearby whenever they work. You need to jot down observations during these stressful times. Do you notice something that needs to be fixed for the future? Take 10 seconds and write it down. Stress often shows the weak points in a system. Therefore capitalize on these opportunities to see things that need to be corrected and discussed at a future date. Charlotte, from the famous book “Charlotte’s Web” once said “never hurry, and never worry.” That may be too much to hope for in the modern retail pharmacy environment. But the “10 tips for managing stress in the pharmacy” may be a step in that direction. If you are a relatively new retail pharmacist, you might even want to jot these down on a flash card and carry them in your pocket. Look at them from time to time. Can you add to them? Improve them? Develop them into your own personal approach to managing stress? They are a starting point, not the finish line. Take them with a grain of salt if you like. Or even a milligram. But somehow, someway, figure out what works best for you. Well written Jason! I will forward this to all the pharmacists I know. The beauty of what you have laid out is that it can be applied across multiple fields of work, not just pharmacy. Thank you Steve! Always an honor to have you swing by and comment. Hope all is going well for you with Audible Rx!